Trying to make new recipes, with crafts thrown in from time to time. 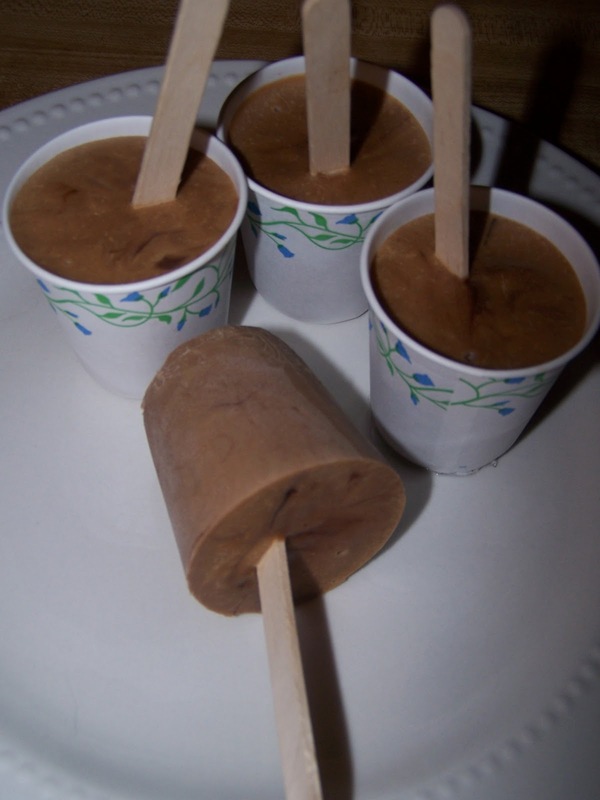 Hi kids, yet another Popsicle recipe here, From Bemused, I made these with Splenda and Splenda sweetened chocolate syrup and if I had some natural peanut butter they would be even healthier. 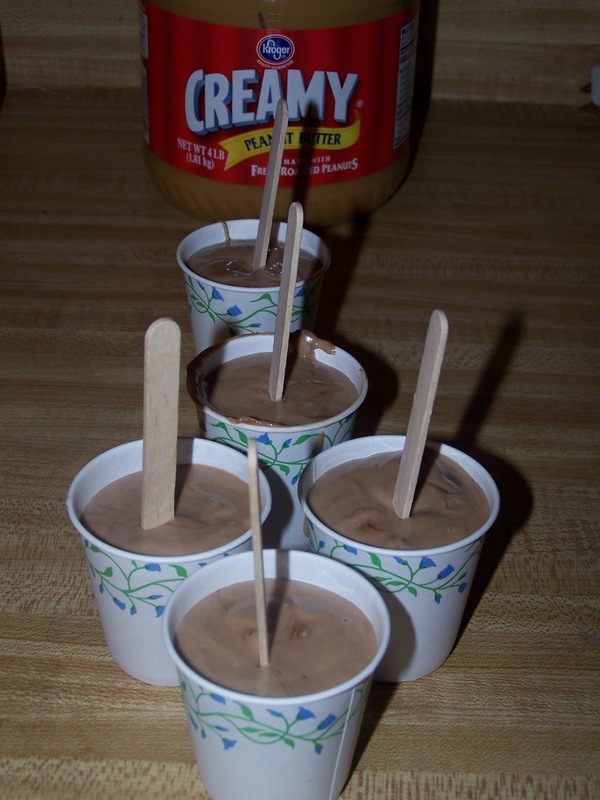 I used fat free milk and fat free yogurt, thinking the fat from the peanut butter would make them creamy. The mix tastes delicious. 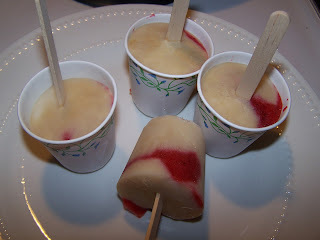 Review and more pictures to come.......This recipe makes 5 small pops. Creamy, smooth, peanut buttery and delicious. Try these!!!!! 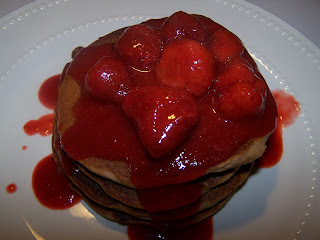 Next I am going to make these without the chocolate sauce, and layer with sugar free either grape or strawberry jelly. 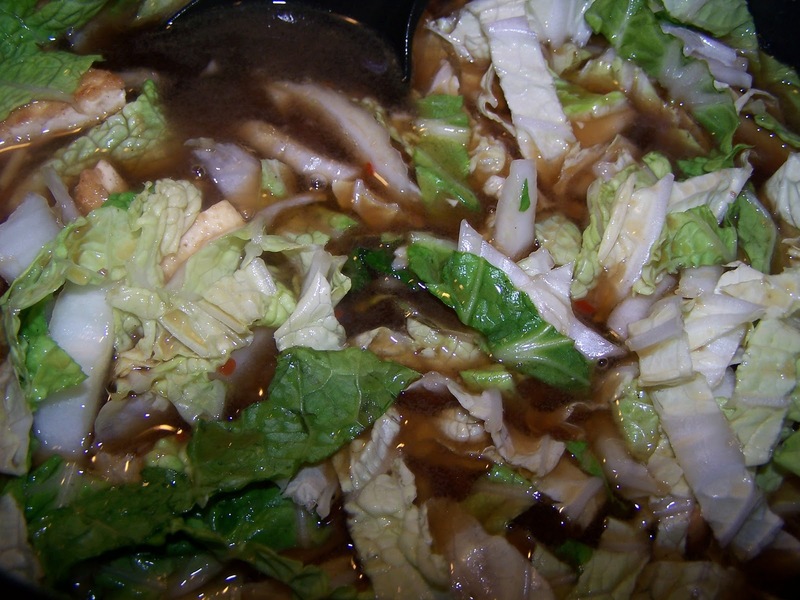 I know, I know, I have already made this before....But it is so good and I was tired of napa cabbage. I needed a break from it, LOL! Napa Cabbage tomorrow, I promise! 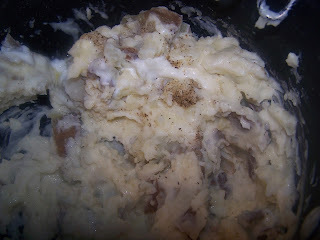 For the sauce, I did not have Alfredo sauce nor did I have Parmesan cheese, so I made the Bechamel Sauce recipe from Janet Is Hungry omitting the dijon mustard and sauteing one minced clove of garlic with the melted butter before adding the flour. 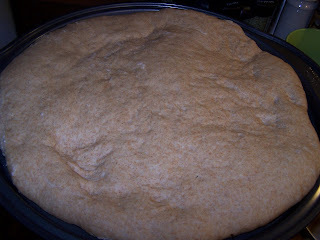 As usual, I will be using my recipe for pizza dough made with 1 cup whole wheat flour and the rest AP. I have taken to using honey instead of the sugar called for but use your favorite (molasses, King Syrup, corn syrup, sugar....) sweetener. 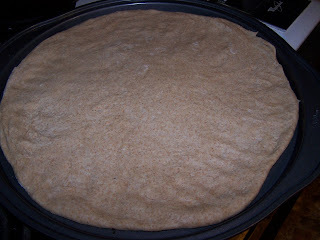 If you are in a hurry, feel free to use frozen and thawed pizza dough. Wow, the picture is beautiful! 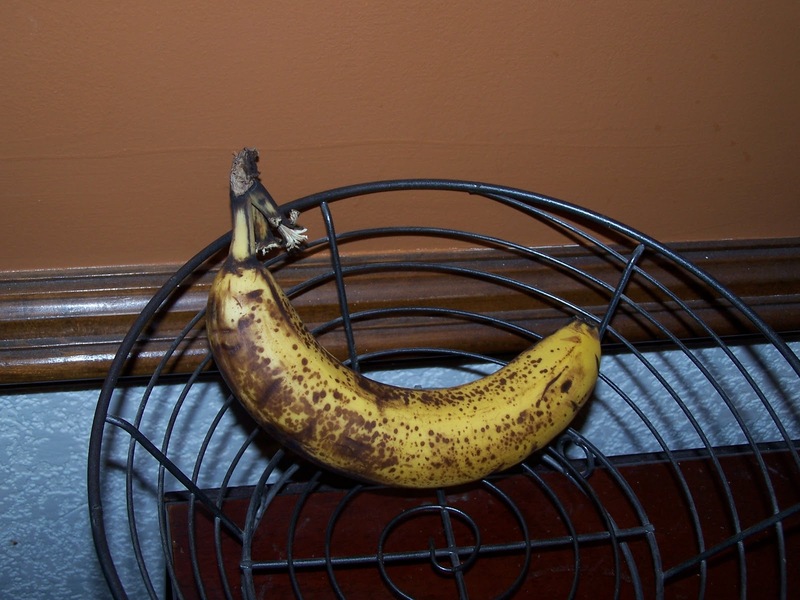 I knew I wanted to make it when I saw the pic, and Chris saw it and said, "What is that?!" which means it looks good to him. Always a plus! 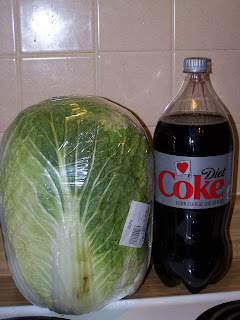 Another plus for me is that it uses napa cabbage, if you remember I have a seven pound cabbage ;O) Here is the recipe. 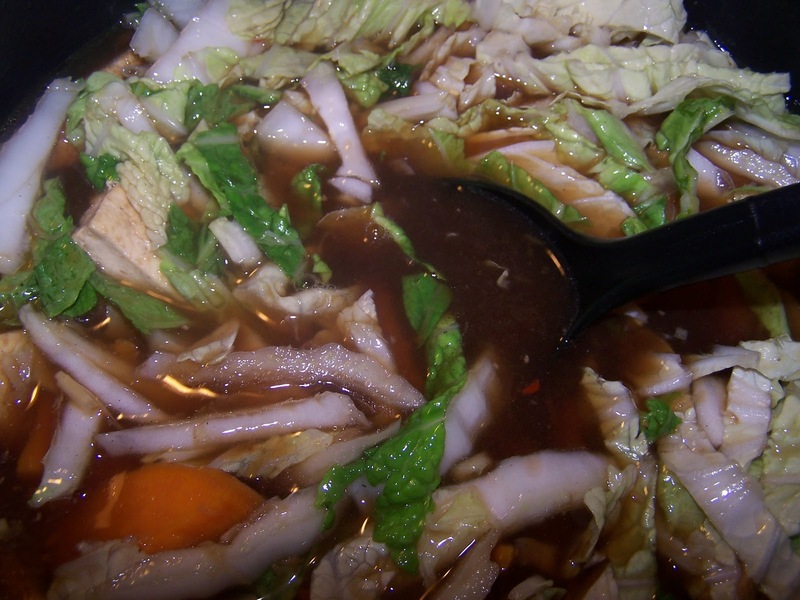 Anyways, soup is always good to make on cold days and we have been having a lot of cold ones lately here in Chester. This recipe combines a lot of my favorite things into one dish. 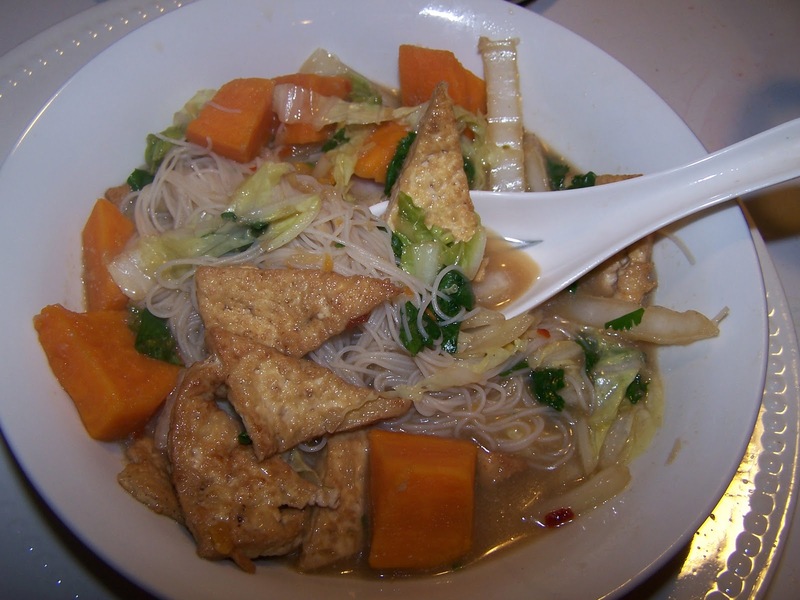 She calls for Rice Stick Noodles and you will want to look for Rice Vermicelli. I get mine from the Asian Grocer (if you live near Richmond, you will probably know it, the Tan-A). The Lite Coconut Milk, I have found, Kroger has a store brand that was about $1.65, score! I used my whole container of tofu, which is 14 ounces and lightly fried it because that is how I like my tofu. The smell of this cooking is heavenly. I personally would add some hot sauce or more chili flakes but it is pretty good as is. Chris added some sriracha to his and he says now it is perfect. Um, yum. I just happen to have all of these ingredients and you would think I have leftovers or something to eat for lunch and everyday, which I don't and I end up eating knock-off Lucky Charms, LOL. Which don't get me wrong, they are really good but I am getting rather tired of the same old. Here is the recipe, I hope that you enjoy it as much as I did. 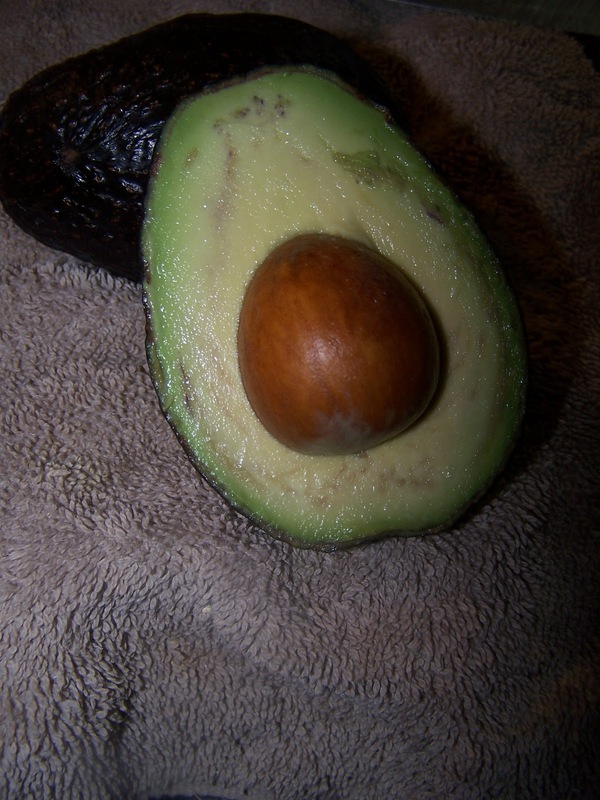 Cut the recipe in half for one serving as shown. 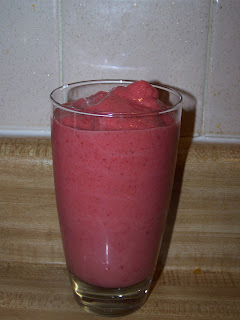 You may have noticed that I have been making a lot of strawberry recipes and this is because I have stocked up on them from the Dollar Tree :O) I was searching online for a strawberry yogurt pop and this recipe kept coming up. The presentation is beautiful. I don't have pop molds like these shown in the picture but I do have bathroom cups (I got a box of 200 for $2.99 at Kroger) and Popsicle sticks (which are also available at Dollar Tree in the craft aisle) and that works just as well and it is inexpensive. 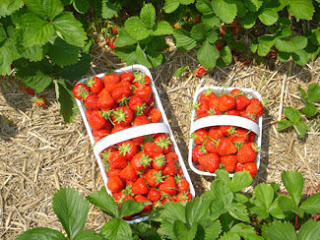 Strawberries are my favorite berries, I have loved them since my grandma first took me to a strawberry u-pick patch. They are juicy and the seeds don't bother me like other berries (blackberries, but I still eat them). I <3 strawberry everything, you will see lots more strawberry recipes from me. I used Splenda in place of the sugar and I got 6 pops for half of the recipe. Here is a recipe for homemade push-pops, sounds like a good recipe for kids of all ages. These are sweet tart and a little icy. Lemony and very strawberry. I really like them and I will make them again. When I found this recipe from Pinch My Salt, I knew I had to try it. 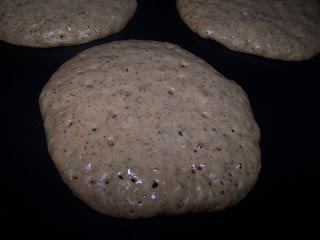 Yummy pancakes with buttermilk, blueberries and whole grains.....mmmm! 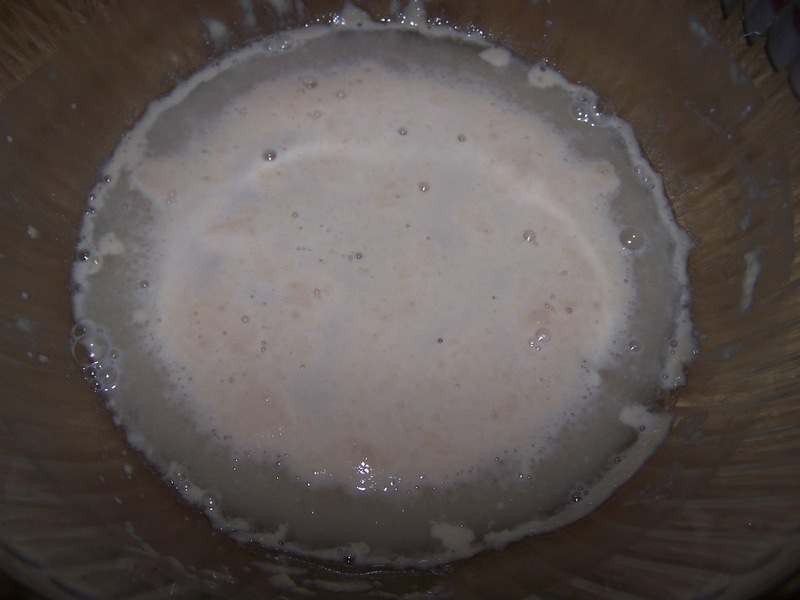 I didn't have the oat bran so I am replacing it with oat flour, to make this place oats in a blender or a coffee grinder and pulverize into a fine powder. Store what you don't use for another recipe. 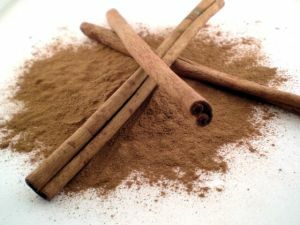 I am replacing the brown sugar with honey and I am adding a bit of cinnamon to the recipe. Here is the recipe as I make it. 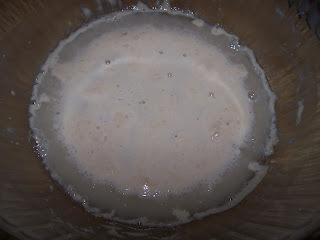 If you have buttermilk, you can use that instead of the milk and sour cream (1 cup buttermilk). 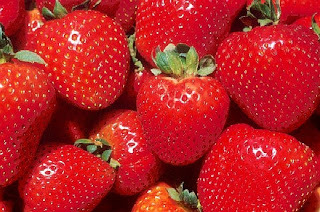 Today when I went to the Dollar Tree alas, they did not have blueberries :*( so I am making them plain, but with strawberry sauce.....(from Good Life Eats). Heat up your griddle. 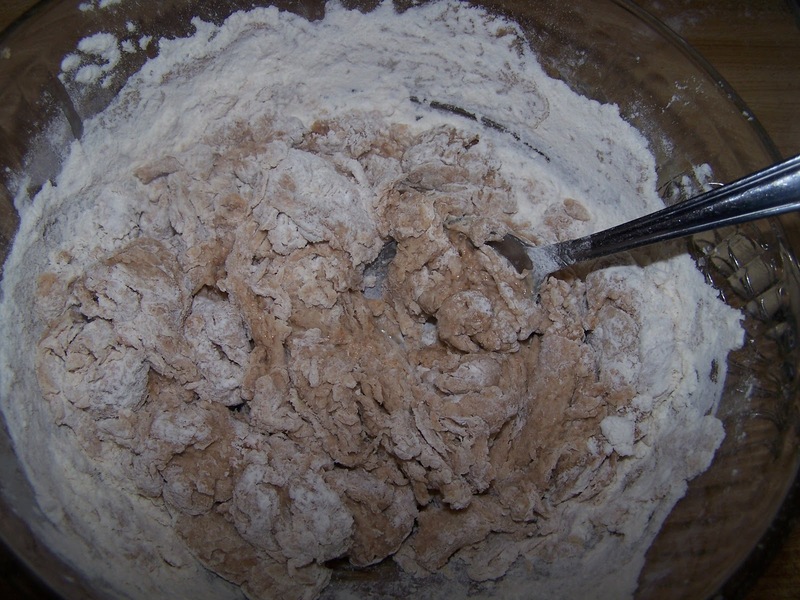 Combine dry ingredients in a medium sized bowl, stirring to mix. Toss the blueberries, if frozen with a bit of your flour. 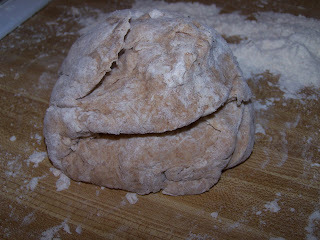 Then add wet ingredients to dry ingredients. Fold in blueberries carefully. Drop the batter by 1/4 cupfuls onto your griddle. The pancakes are ready to turn when the bubbles break. Turn and cook about 1-2 minutes or until lightly brown. Serve with real maple syrup or as desired. I personally would go with about 2-3 tbsp. of cocoa next time and 1/3 cup of sweetened condensed milk. I also added about 1 tsp. of vanilla. 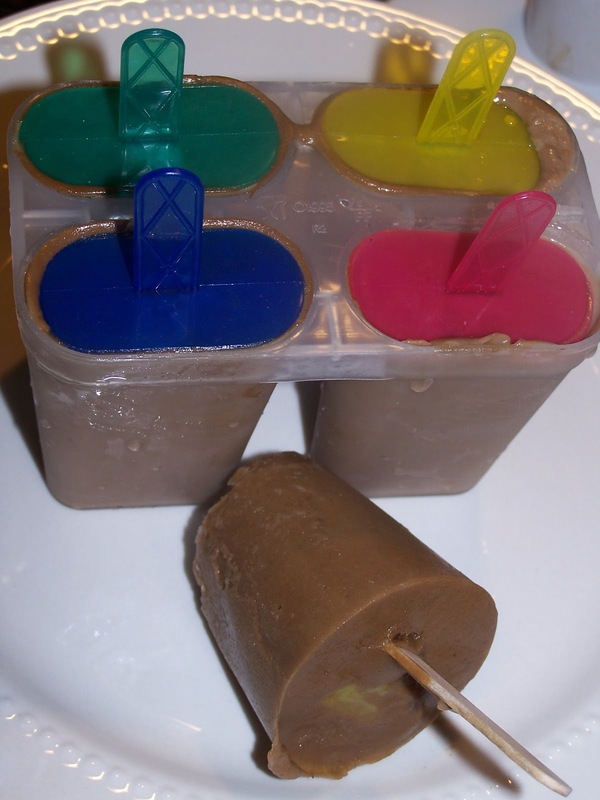 I think coconut milk milk would be a nice addition to these pops. Wow, I sure do love Potstickers! Chris and I have made them a lot lately, but we have been using the same recipe so I thought it was high time to change it up. This recipe stood out from the other recipes that I had been looking at, mainly because it used tempeh. 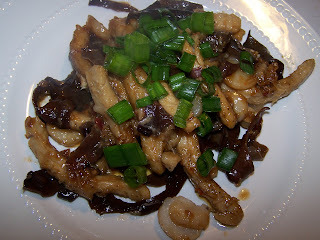 Tempeh is one of Chris's favorite soy products, plus it uses napa cabbage which I currently have an overabundance of. 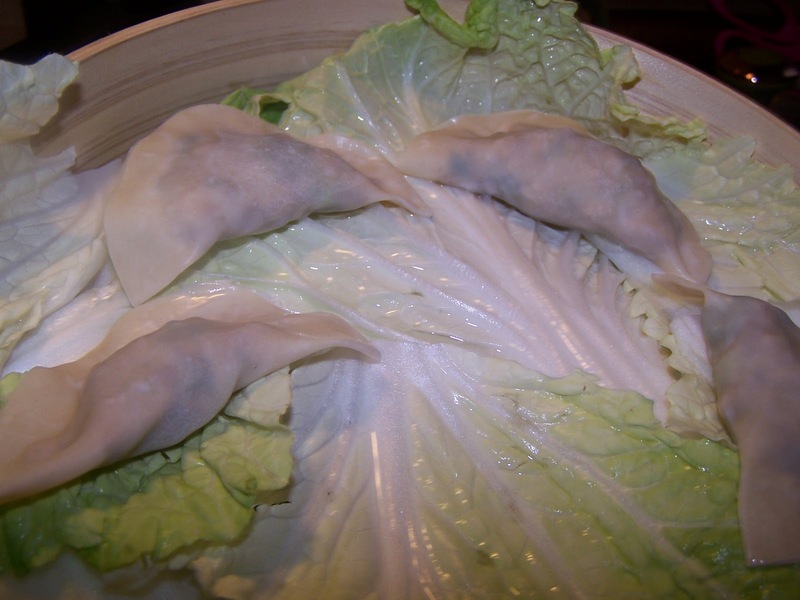 I line my steamer basket with the napa cabbage which keeps the Potstickers from sticking to the bamboo steamer plus you can eat it and it is infused with the smoky aroma of bamboo. 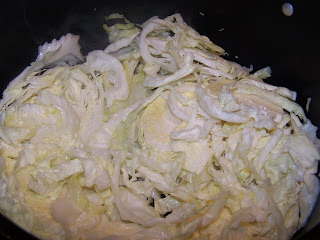 I have some recipes that I found that use napa cabbage (soon to come) and I also like it in my stir fries so I hope that I get to use all of it. Feel free to suggest recipes to me. I steam my tempeh after it is cut for 15 minutes each before cooking. I have been wanting to try this for years, and I am just now getting around to trying it out. 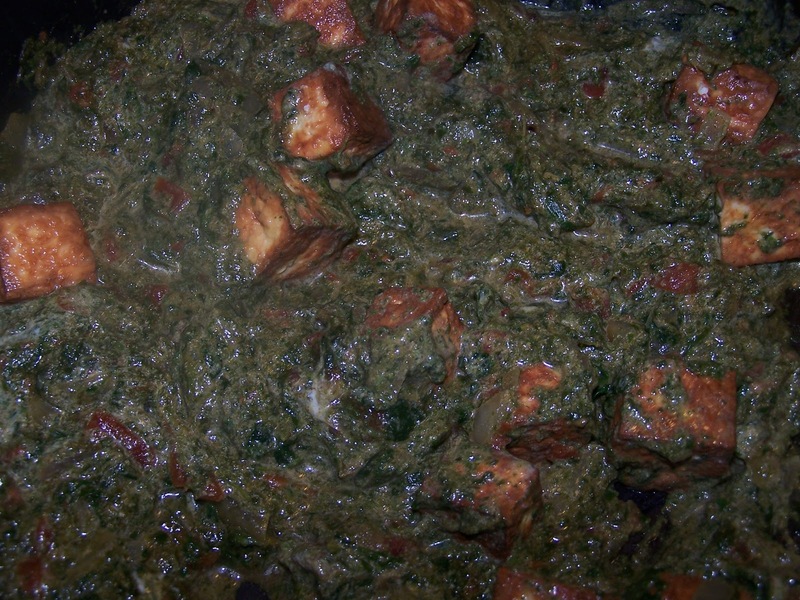 Cheese and spicy spinach in a cream sauce, how can you go wrong? I have read about this and was determined to make it, I was even going to attempt to make my own Paneer (which I have read is simple to do), but Chris and I went into Richmond and to the Indian Grocer and I got not one but two packages of Paneer (by mistake, they were stuck together) so I just hope that both of us like Paneer If you are vegan, use soy creamer or soy sour cream thinned out with soy milk and tofu. I decided to go with this recipe from Show Me The Curry. 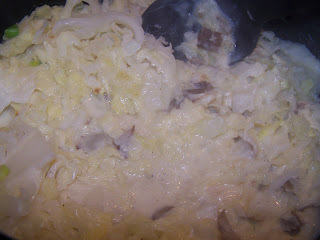 I also decided to go with sour cream instead of the whipping cream called for to save calories. 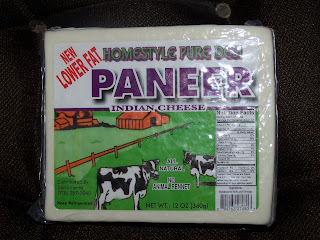 I am using reduced fat paneer that I got from Laxmi Palace (Indian Grocer). This seems like an easy enough recipe, we are eating the curry without chapatis or rice. So how was it? OH my goodness, it is amazing! 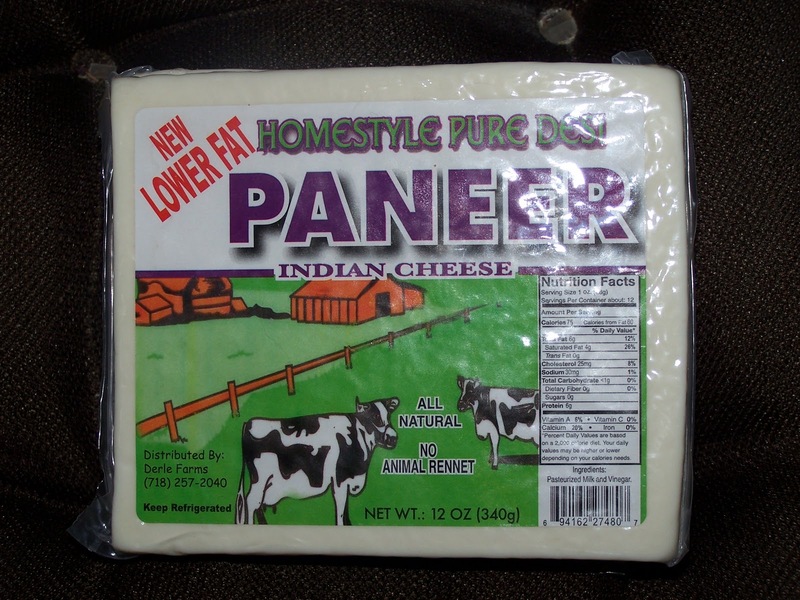 Now I am glad that I accidentally picked up two packs of Paneer! Spicy, creamy deliciousness! 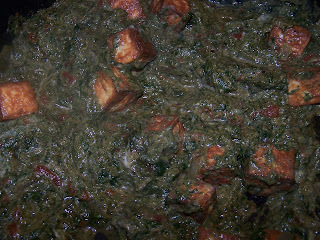 The Paneer was chewy cheesy deliciousness. 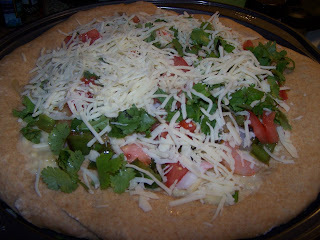 This recipe was very authentic and tasted like something I would get from an upscale Indian Restaurant. 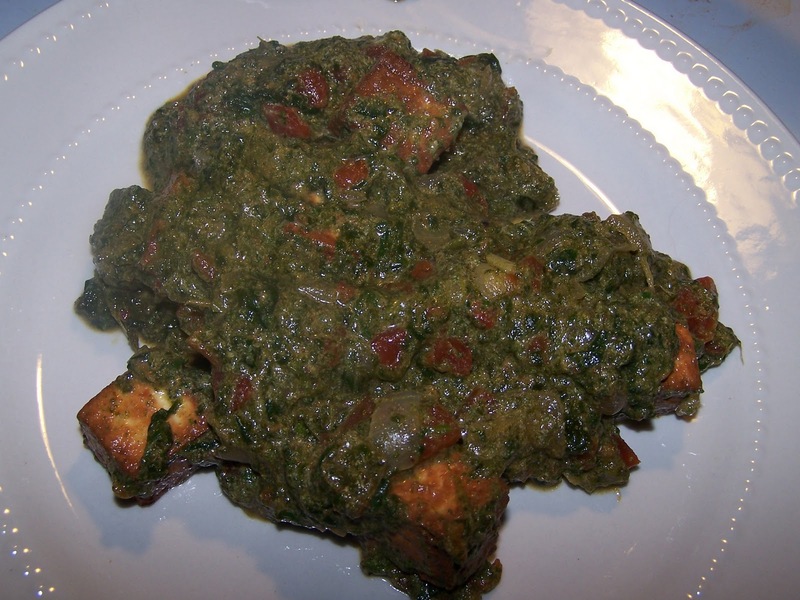 Make sure that you soak the Paneer after you fry it, it makes it softer, and lightly squeeze the water out. I love pancakes for breakfast and I wanted to have cinnamon strawberry pancakes. I decided to go with this recipe. 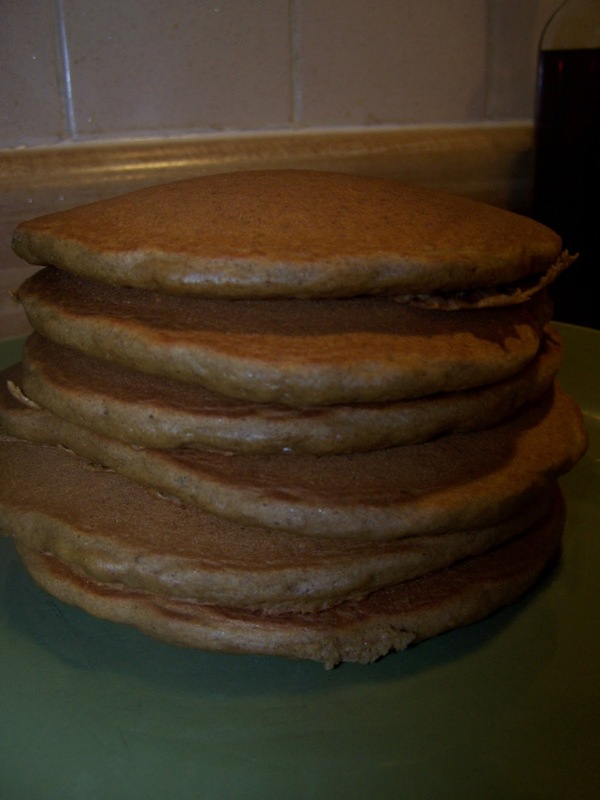 I think the next time that I make these I will use honey instead of the brown sugar the next time that I make these, and I also used one egg in this recipe. 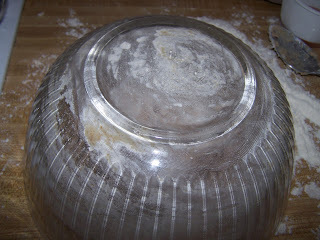 I also used about 1/2-3/4 tsp. cinnamon. So here is that recipe written out the way I make them. Combine dry ingredients, add wet ingredients to dry. Stir to combine. Heat griddle (set at 350 degrees) and use about 1/4-1/3 cup pancake batter per pancake. Cook about 2 minutes or until bubbles break. Flip and cook about 2 more minutes or until lightly browned. Serve with real maple syrup or as desired. 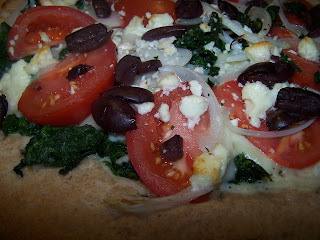 So yummy and such an easy recipe. Cheap to make too. 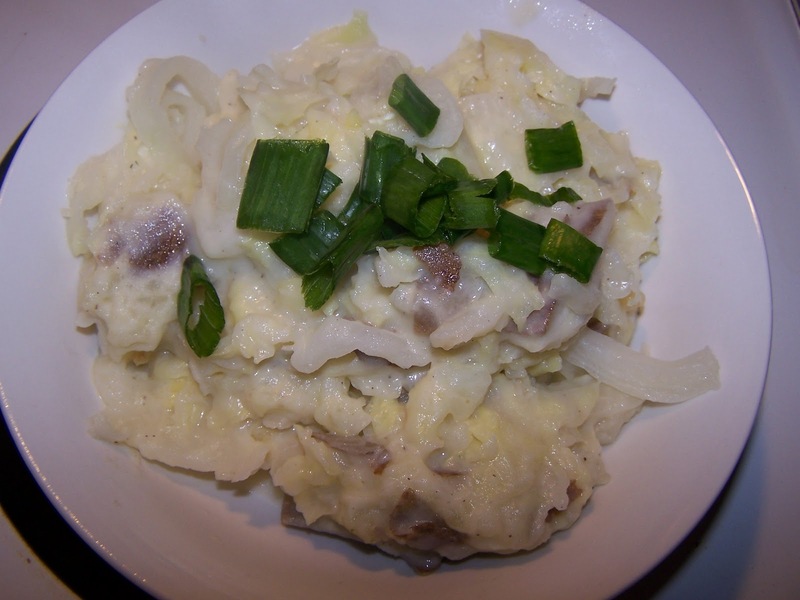 Creamy mashed potatoes and crisp tender green cabbage, this is true comfort food. You don't have to be Irish to enjoy this recipe. Yet I just tried it recently, amazingly enough. This is extremely filling and it is even good reheated. This is the recipe that I use. The only thing that I do differently is to use low fat sour cream thinned with a little bit of milk instead of the cream called for in the recipe. I may try to make this with a little less butter. 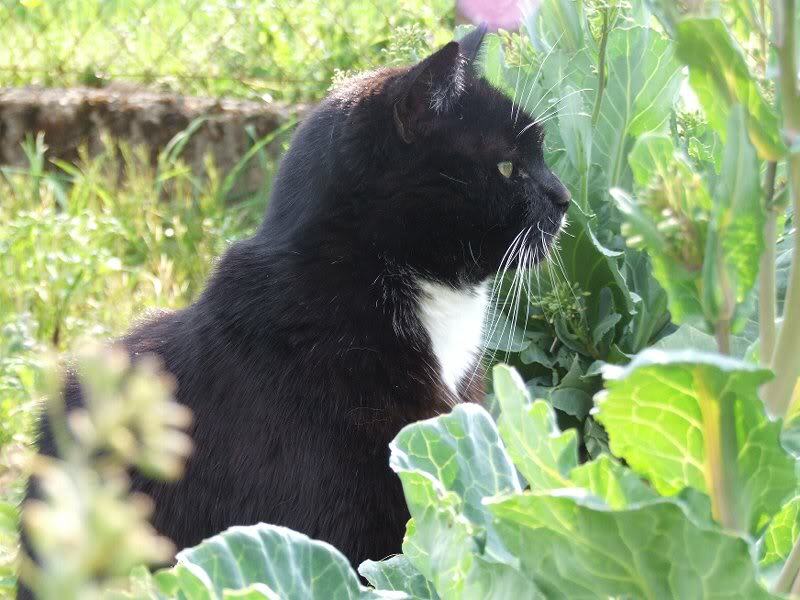 Last year, my friend Kevin had a cabbage patch and a momma cat kept her babies in it. I was going to put the picture up on here but the picture is no longer on FB :o( Here is a picture of a kitty in a cabbage patch that I found online. The kitty in the picture looks like two of our neighborhood kitties. This is one of Chris's favorite recipes. 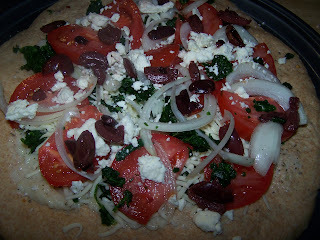 I will attempt to make this with some Morningstar Chick'n Strips. 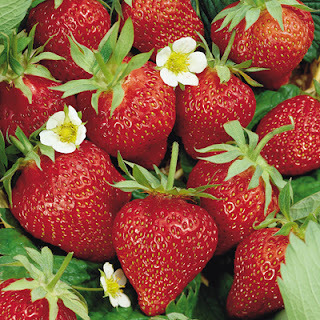 I have decided to try out this recipe which is from Tigers & Strawberries. Chris says that the way his mom gets the restaurant to make it is with water chestnuts only. I hope that this tastes somewhat close to what he is remembering. He loved it, it is now one of his favorites! Slightly hot and slightly sour from the chili garlic sauce and vinegar, this dish has lots of flavor. He keeps telling me how much he liked it, and we are even making this recipe for his mom's birthday. 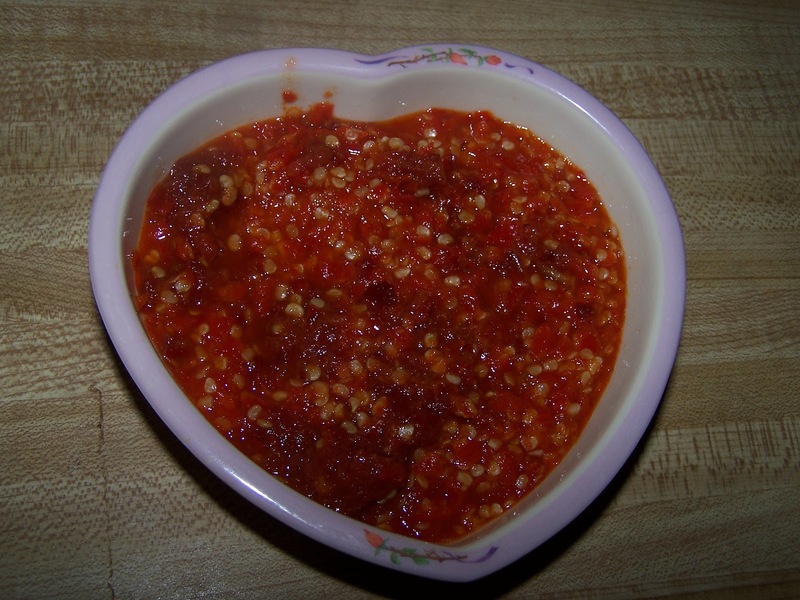 I made some Vietnamese Chili Garlic Sauce today and since I almost used all of mine up and I had some Thai Chilies to use up. I used this recipe except I cooked mine for about 30 minutes. This is a solid recipe and it is easy to prepare.They are hearty and filling, my husband who eats beef loves these and asks for them, however I have stopped making them until today. Last night I was up and I made rice for these and my husband just had to know what the rice was for, I wanted it to be a surprise since he loves them but he said that he hates surprises and I had to tell him :P I guess you just try other recipes and forget about the tried and true ones. Not that I will stop trying new ones because you find new tastes and textures that you love and I don't want to get into a food rut. Sometimes you just have to come back to the favorites, your comfort food. These do not need cheese on top but add it if you like. I have made these with tomato sauce and cumin and cayenne pepper and Dijon mustard. Here is my alternate recipe. 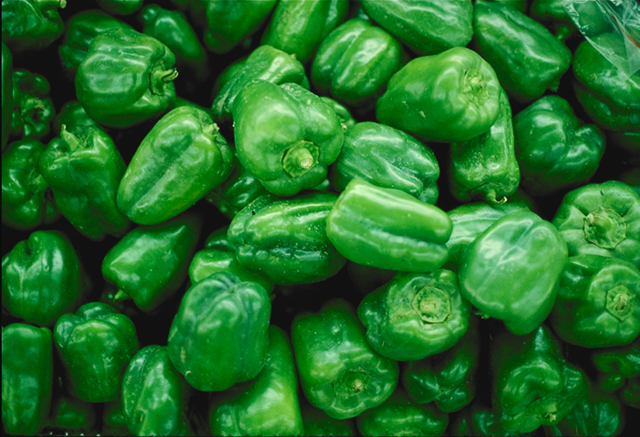 Cut your peppers in half and remove seeds. Fill a large wide mouthed skillet with water and par-boil the peppers until they are bright green or dark green as I accidentally did. OOPS. Set aside. 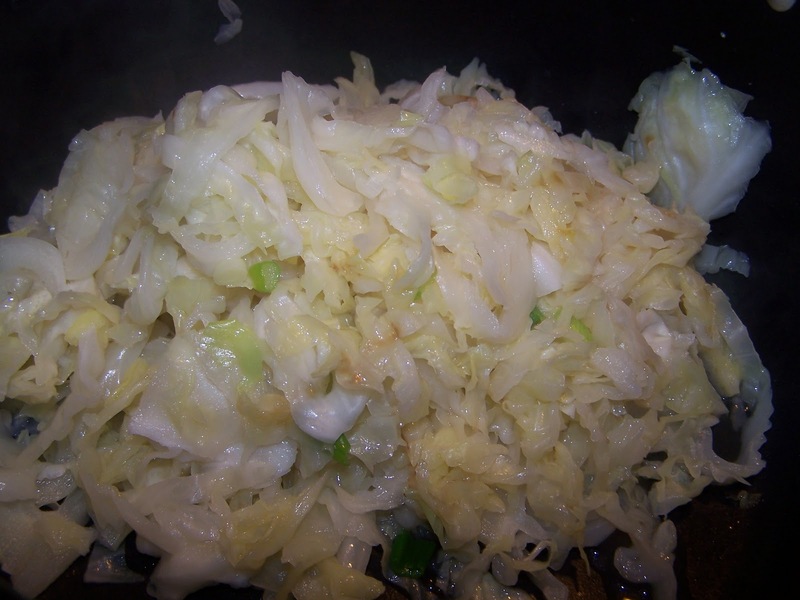 Saute your garlic and onions in the oil over medium to medium high heat until softened. Add burger crumbles, tomato sauce, cayenne pepper, cumin and rice. Simmer until the burger crumbles are cooked. Your sauce should be thick. Add the mustard and ketchup. Taste and add more mustard or ketchup to taste.Spoon the mixture evenly into the pepper shells and place in a 9"x9" pan. 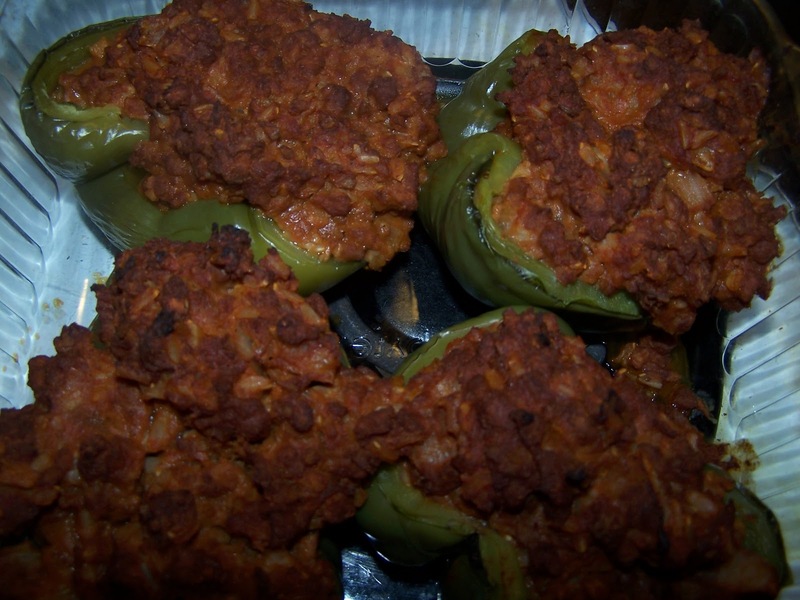 Cook at 350 degrees until peppers are soft and filling is browned. Enjoy. I made these a long time ago with a recipe that I threw together and they were OK, but not spicy like I imagined. 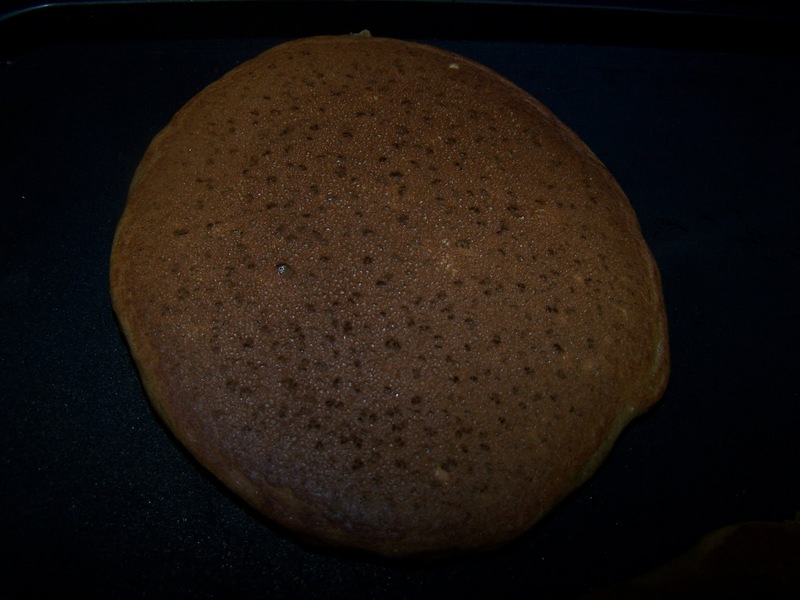 Chris mentioned making Chai Pancakes and I found this recipe, which looks and sounds delicious. 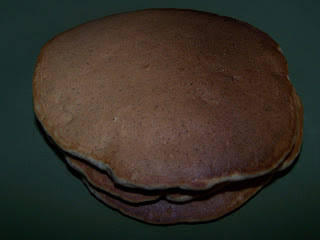 I both <3 Chai Tea and pancakes so it is a good combination. It has added spices and I didn't think to do this to my recipe. I brewed my Chai Tea the night before with the milk (I cut the recipe in half as it is just Chris and I eating these). 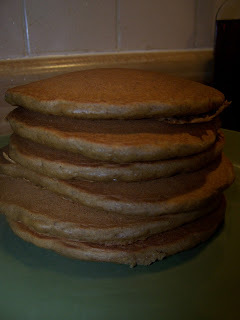 I will be serving these with Real Maple Syrup. BTW, I figured out the best way to make Iced Chai, and that is with 4 tea bags per 4 cups milk and 2 tbsp. Splenda or sugar, bring to boil and turn heat down to low. Simmer for about 5 minutes, cool. Add about 1-1&1/2 tsp. vanilla, optional. Stir. Serve over ice. 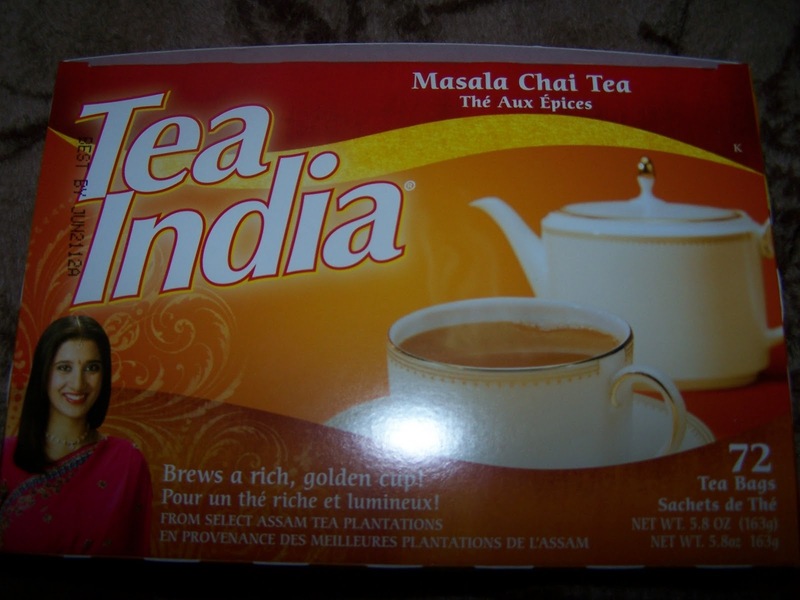 I now use only the Chai Masala that I got from Laxmi Palace. So how were they? The verdict is they are the best pancakes I have ever tasted. EVER. Chris agrees, especially since he loves spicy things. I know that this sounds a little weird but it looks delicious. My friend, Sara went to Morocco and came back talking about Seafood Pizza, and I went looking for recipes. 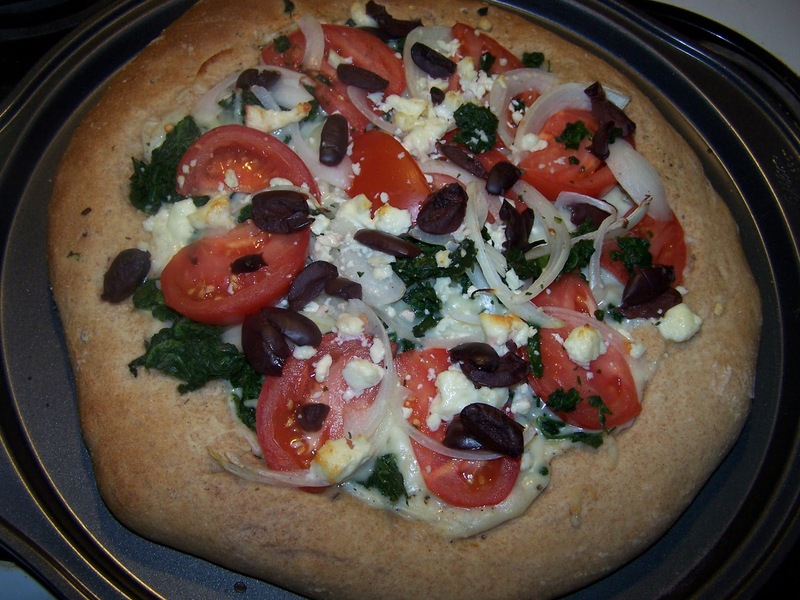 A lot of recipes came up, but when I saw this recipe from Janet is Hungry, I knew I had to try it. White sauce, Parmesan Cheese, Mozzarella Cheese, Imitation Crab (you can use real crab but I don't eat crab), tomatoes, cilantro, shrimp, onions and green bell peppers....what's not to like? 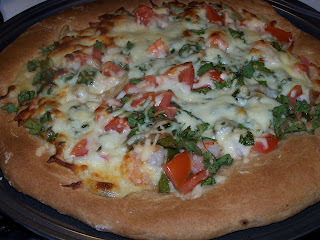 I love pizzas made with white sauce instead of red sauce/tomato sauce bases. I will be making my own crust for this pizza. I also cut the shrimp down to about 1/4 pound. In a large bowl, place water and yeast. 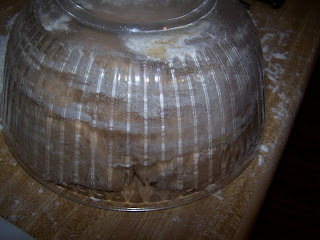 Add sugar and set aside for about 5 minutes, until yeast has bloomed. Add oil and salt, stir. Add 1&1/2 cups flour, stir. 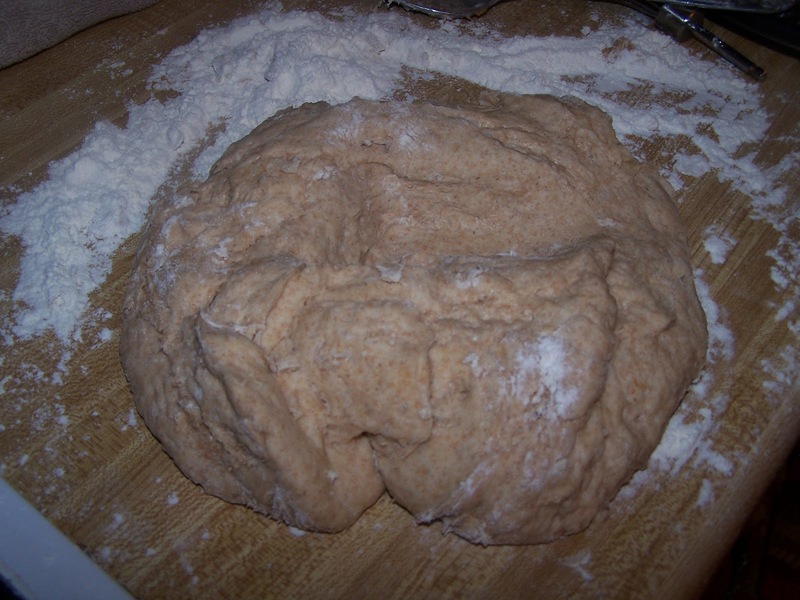 Pour dough out onto floured board and knead in enough additional flour to make a soft dough.Do not be alarmed if you don't use all of the flour. Cover with tea towel or bowl, let rise about one hour or until doubled in bulk. Punch dough down, knead and roll out in a greased cookie sheet or pizza pan. 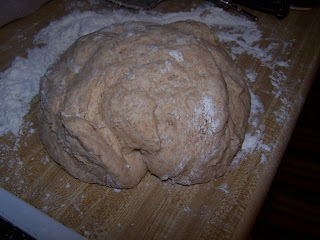 Cover with tea towel and let rise for about 30-60 minutes. Proceed with recipe. 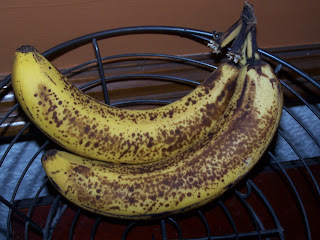 I always end up with really ripe bananas and even though I know that I can freeze them for later use, I hate doing that. Why? Because I forget about them and they get freezer-burnt, even though I have good intentions of making smoothies, ice cream pops or banana bread with them, so they still end up getting tossed. I was looking through Isabelle's Blog and I came across this recipe for banana pancakes and I had a "Eureka!" moment. These look fluffy and delicious.....Chris loves banana pancakes and I am sure getting tired of the egg sandwich we have almost every morning. 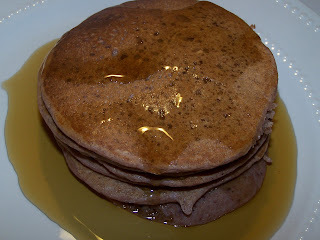 Anyways, these banana pancakes were delicious and half the recipe made just enough for us. I love Anthony Bourdain. I love watching his show (No Reservations) along with Andrew Zimmern (Bizarre Foods). My favorite type of food is now Vietnamese/Asian.